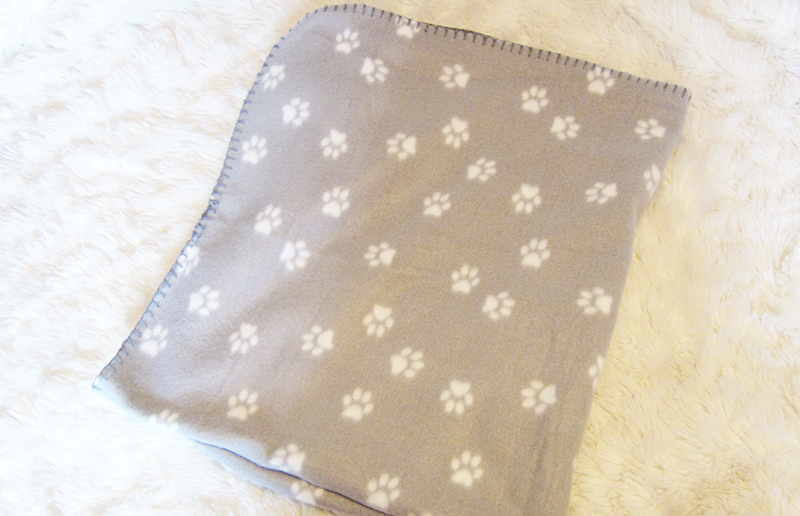 The first product Molly received is my personal favourite, and possibly one of the best things we've ever received in a Pawsome box - a snuggly blanket! Molly's been sleeping on this on the sofa and she loves how soft it is. Plus it looks so adorable too! 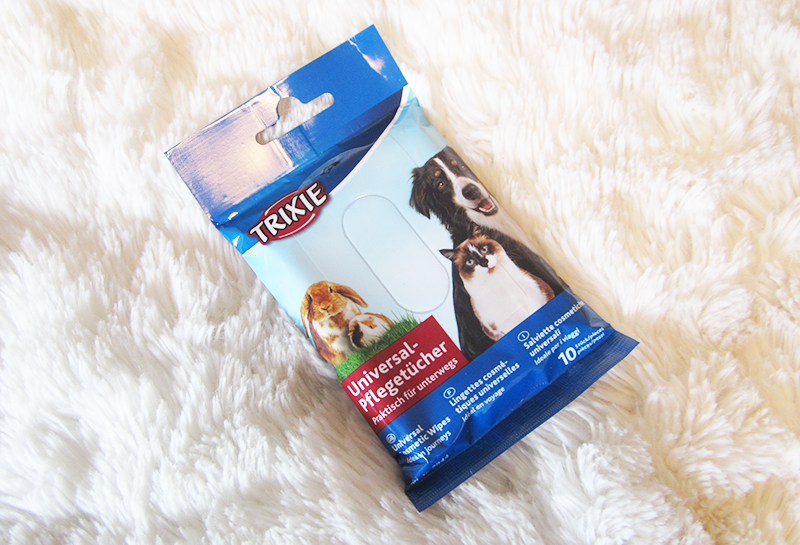 One of the super useful products in this month's box is these wipes that you can use to give your dog a quick wash. Perfect for taking on walks or days out when a bath just isn't an option. Or if you have a dog who hates baths like mine, these make a perfect way to freshen up your dog without all the hassle. Now on to the treats, basically any dog's heaven. 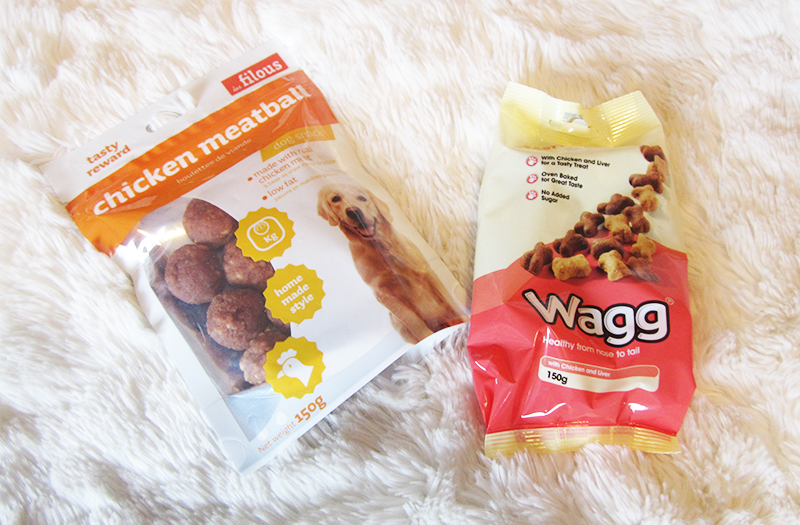 This month we've been given two tasty packs of treats, one is a pack of Chicken meatballs which make a perfect after Dinner treat and the other is a pack of Wagg Tasty Bones with Chicken and Liver for a perfect reward! And finally the toys! 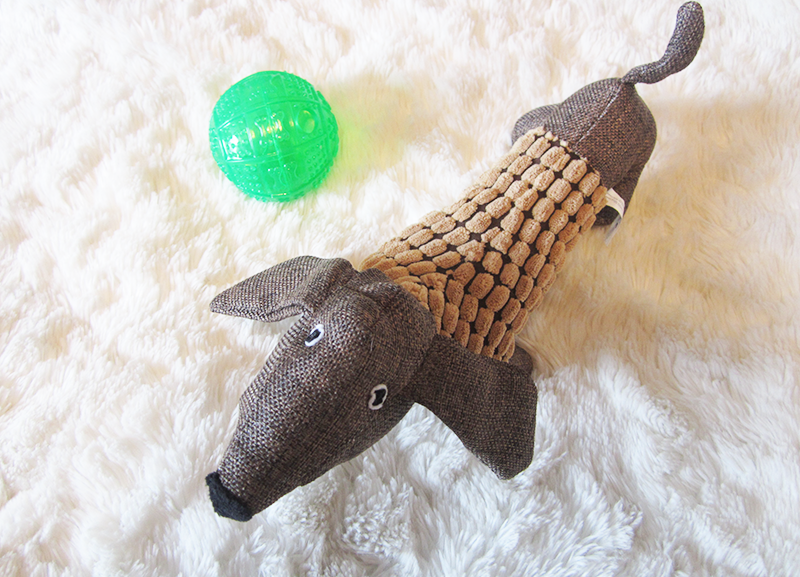 This month Molly received an adorable dog plush, which is actually her first dog dog toy. She's been loving playing with this and actually snuggling up to it because it's so soft too! The other toy is a really clever idea, it's a dispenser ball that releases treats when you work out how to make them fall out. This is absolutely perfect for Molly as she loves having little mental tasks to carry out. 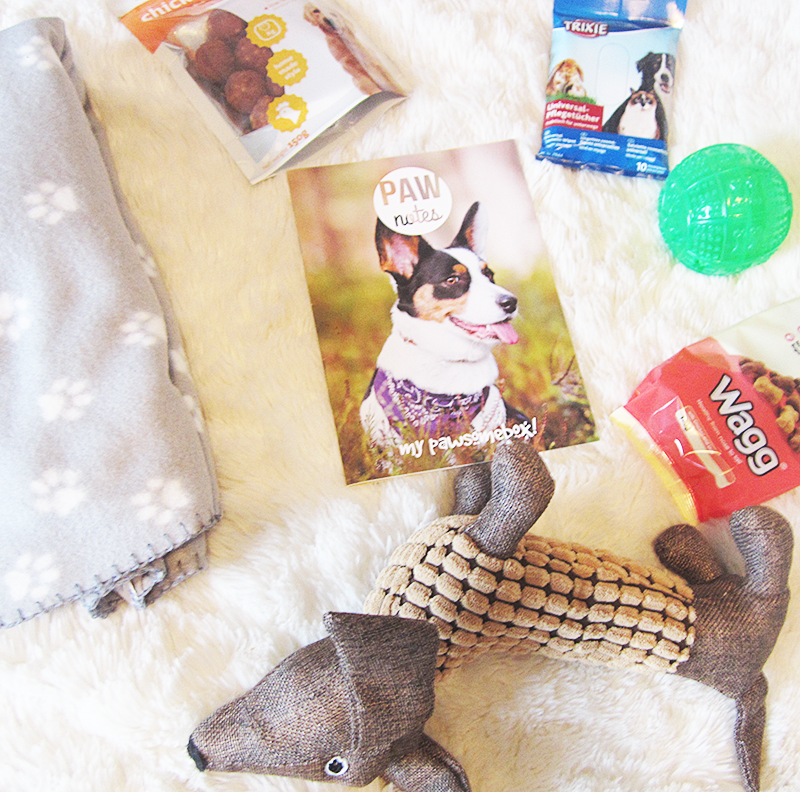 All in all I loved this month's Pawsome box, yet again. It's such a lovely thing to be able to share with your dog and is really a great bonding experience between me and Molly! Thanks for reading lovelies! If you want to try a Pawsome box, then use my discount code here: blg29tna which will give you 25% of your first box! There is also a special Christmas box, so if you're looking for a way to spoil your dog on Christmas then it might be the perfect gift! And if you don't have a dog, then take a look at Pawsome's sister brand, Purrfect for cats! I'm sure your dog would absolutely love one! And definitely, my dog doesn't have enough bedding! Looking at how amazing this subscription is, it makes me wish we have a dog! having a look at Purrfect :D My kit deserves some treats too!